Recently, news broke that Sky Sports and BT had won the rights to broadcast Premier League Football in Britain between 2016-19, at a monumental cost of over £5bn. The companies will showcase 168 games a season between them, with Sky Sports taking the majority of clashes. Sky have of course been synonymous with the competition ever since its formation in 1992 and clearly were in no mood to relinquish that reputation in the latest auction, hence its acquisition of the bulk of the action. There are however, many dissenting voices. Some commentators including ex-players have called the amounts of money involved - particularly on Sky’s part – as obscene. They have asserted that the money must be redistributed and funnelled down to the grassroots system and be a means of lowering ticket prices. How have the public and football fans in particular perceived the news? YouGov BrandIndex Buzz metric measures whether a respondent has heard anything positive or negative about a brand in the past two weeks. Since the news broke last week, we have seen an upshift in the score Sky Sports has achieved. The overall score moved from a low of -0.3 to +3.0. More important is how it has resonated with football fans themselves. Among this group there score has improved more dramatically from -0.6 to +9.1. Are viewers concerned that the huge deal will bring subscription price rises in the future? Or are they now imbued with excitement with the promised scope and numbers of the proposed coverage? 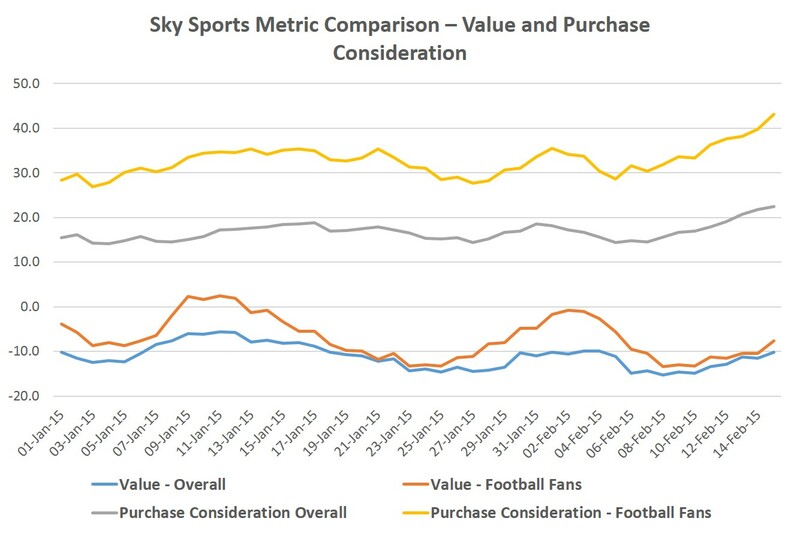 Sky Sports BrandIndex Value metric shows that consumers already view the service as not being good value for money. Among all respondents the value score is on average -11.1 since the turn of the year. Among football fans the score is only slightly better with a rating of -7.0. 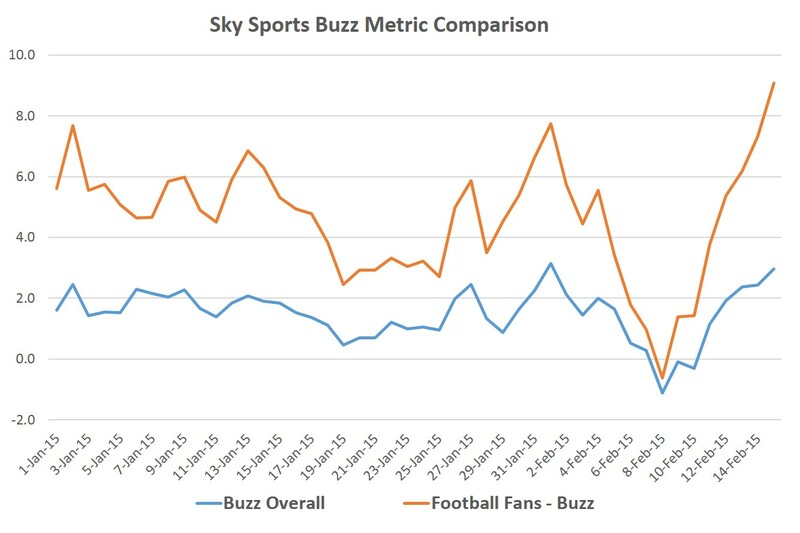 The good news for Sky Sports is that YouGov data shows an increase in those considering signing up to the channels. Among all respondents, Sky Sports’ Purchase Consideration metric score has reached a high since January 1st of +22.4. Crucially, of supporters, this number is almost double that – 43.0. This in itself is a rise from 28.6 at the beginning of February. It is clear that while the public are aware and impressed by the depth of coverage, but Sky need to ensure affordability remains central to their offer in seasons to come.